You are invited to an hour of prayer for our country and for an end to abortion. The NATIONAL LIFE CHAIN event is Sunday, October 4, 2:00 to 3:00pm at Huff and Broadway St. in Winona. 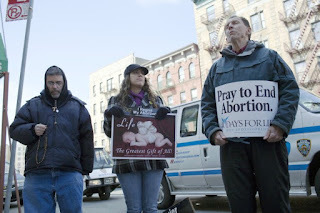 This is a peaceful and prayerful public witness of people praying for our nation and for an end to abortion. Signs are provided. Contact Kathy Foerster at 507-313-6880 for questions. www.lifechain.net.